The monthly subscription box business is hot. While there are few well-established companies in the business, over a hundred have sprouted up over the past few years, and many have raised significant capital. There is good reason for the mad dash into the business (a great list of subscription box companies can be found here). First, a quick summary of how it works. There are three primary stakeholders involved: the customer, the vendor/brand, and the curator. Brands send product samples to curators who package them together and send them to subscribers. 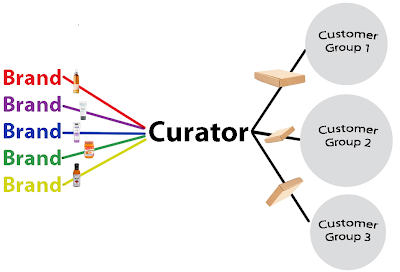 Curators send different boxes to different customer groups. The business model and value proposition is attractive for all three parties. The product categories around which there is the most activity are highly fragmented with lots of small brands vying for a customer’s attention. These include beauty, baby, fashion, and food. From the customer perspective, it’s exciting, fun, and educational to receive a monthly package of random yet carefully selected goodies. It’s a monthly surprise that feels like a gift. The trial process can also yield useful information about specific products and attributes. Typically when making a purchase, customers must choose among a seemingly endless selection of products. Having the opportunity to try out a range of products without ever having to go to a store is convenient and informative. From the brand perspective the business provides an opportunity to reach new customers. Brands of all sizes must continually create awareness, and participating in a subscription box does so in a highly targeted way. The cost to provide samples is likely more expensive than an advertising campaign with a similar reach, but the value of the brand interaction is so much greater with a subscription box. The brands know that many of the consumers receiving their samples fit their desired customer profile; because when a customer signs up they provide information about their preferences and tastes. 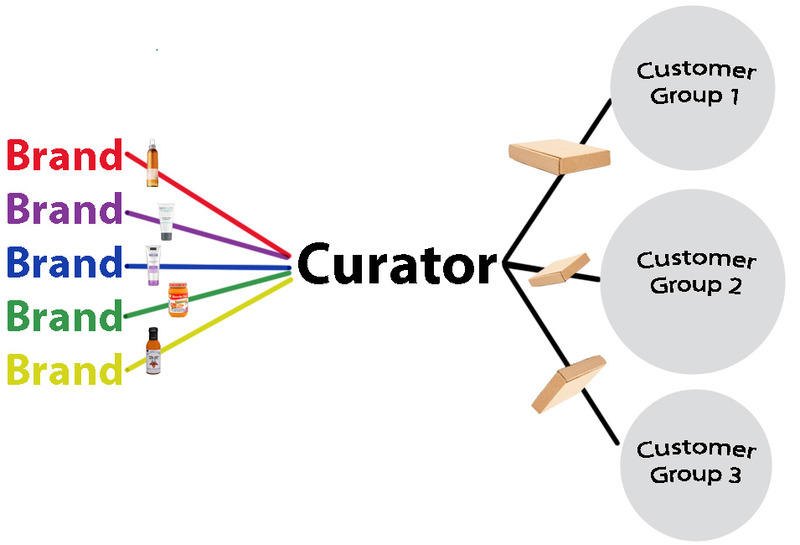 The curators connect the brands and customers, and if they are able to align the right brands with the right customers, they make both groups very happy. Brands get new customers, many of which are in a highly coveted younger demographic. Customers get products they enjoy for a relatively low price, in part because brands provide samples to the curators free of charge. Most curators also sell the full size versions of the samples they send out each month. In doing this they keep brands happy by providing them with orders and some measurable data about the effectiveness the sample product had on full size product sales. However, it is a challenge for the curators to track full size product purchases, since these products are available at other retailers. It should be noted that while the majority of subscription box companies operate utilizing a model similar to the one outlined here, some do not. Others including Honest.com and ShoeDazzle are more akin to an “of-the-month” club where customers pay full price for full size products. The early growth of numerous subscription box companies has been stellar. However there are no competitive barriers to entry, and the market will become increasingly crowded. It will be interesting to see how the market growth trend plays out. Based on the value the model creates for those involved, I imagine that we’ll see it expand to other product categories. Late last year the first pet subscription box company launched. Maybe someone is working on a monthly liquor sampler filled with the little bottles you get in your hotel minibar or a monthly cleaning products box.